With the election campaign in full swing, Amnesty International Australia is urging all political parties to change the conversation by refusing to engage in divisive and stereotyping conversation. “Today we are calling on our political leaders to stand against racism and unite Australia through inclusive leadership.The language our political leaders use and the messages they send have a profound effect on people’s lives. Too often we have seen our political leaders feed into the negative rhetoric that demonises particular parts of our society. “When our leaders speak in ways that vilify whole communities such as migrant and refugee communities, they normalise discrimination and embolden those who support it. Instead our leaders must denounce racial and ethnic hatred. “The recent heartbreaking events in Christchurch resulted in an outpouring of support both here and in New Zealand and highlighted Australians’ desire to come together and support each other. 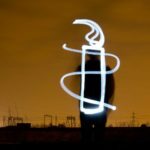 Amnesty is calling on all Australian’s who want to see an inclusive election debate to sign the petition.